Hungry? 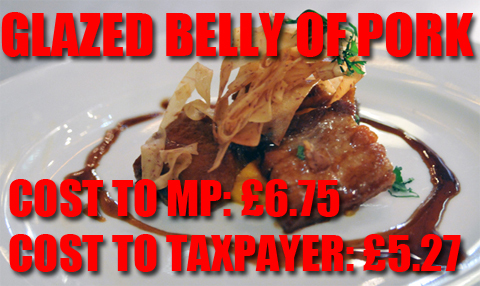 After PMQs our honourable MPs will toddle off to their private and exclusive riverside dining rooms. Today the “quince glazed belly of pork with savoy cabbage & white bean stew” sounds tasty, especially at the penny-saving price of £6.75. It’s only that cheap because of the £5.27 subsidy from our pockets. Incidentally that subsidy alone is the equivalent of six hospital meals, that we learn today, cost just 90 pence. Gives you a real sense of political priorities.